The Princeton Review has recognized the "excellent value for students" in Indiana State University's Master of Business Administration, listing it among the nation's best programs for the seventh consecutive year. The academic test preparation and admissions counseling company included ISU's MBA program in "The Best 296 Business Schools," the 2013 edition of its annual guidebook. In the listing, "‘small classes, great teachers, good assistantships' and an affordable tuition" help the graduate business program stand out. The company analyzed institutional data and reviewed student surveys from the past three academic years to determine which MBA programs made the list. 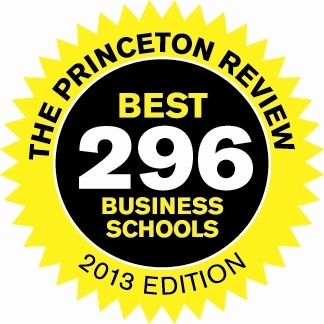 "We are thrilled that the Princeton Review has once again recognized the Scott College of Business MBA program as one of the best,'" said Brien Smith, dean of the Scott College. "This recognition validates our continuing commitment to quality and excellence in graduate education, and this award reflects the high degree of commitment on the part of our faculty and staff. I am extremely proud of their efforts." The program's small size allows MBA students to receive "‘individual attention that better prepares" them "in a hands-on manner,'" the listing states. The Princeton Review adds that ISU students receive "great faculty accessibility" and the program helps create a friendly atmosphere in and out of the classroom. "We provide a rigorous, challenging program taught by high-quality and committed faculty with terminal degrees in their areas of specialty," Smith said. "Our small class sizes provide our students with one-on-one attention and the ability to network meaningfully with other students in the program as additional ways to prepare them for their career after they graduate." The listing references the Scott College's relocation to Federal Hall. 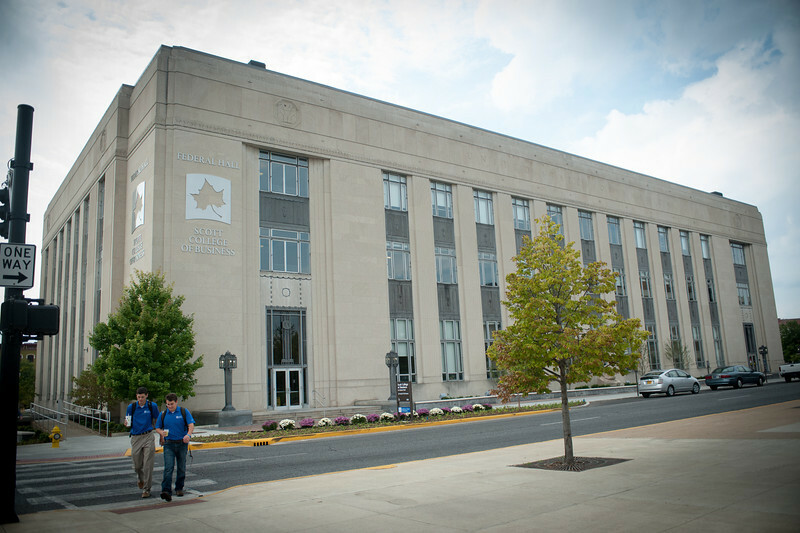 In August, the former Terre Haute federal building reopened following a more than $20 million renovation to become the college's new home. The Princeton Review also highlighted Terre Haute's public park system and low cost of living as assets, along with Indiana State's location within several hours of Indianapolis, St. Louis and Chicago, which provide additional social opportunities. "Our positioning is attractive to students not only in terms of where to attend an MBA program, but there are also numerous possibilities for starting their careers in a major market," said Smith, who added that Cincinnati's close location also is beneficial. "The proximity of these markets also allows our alumni to stay engaged with the Scott College of Business long after they graduate." This is not the only recognition that the Scott College of Business MBA has received. The program also is accredited by the Association to Advance Collegiate Schools of Business. "This accreditation represents the highest standard of achievement for business schools," Smith said. "Less than five percent of business schools have achieved this mark of excellence." The rankings are important in recruiting top students to the MBA program, he added. "One important question that many prospective students have is whether a program has a national ranking," Smith said. "The combination of our AACSB accreditation and a national ranking places us among only a handful of prominent programs nationally." 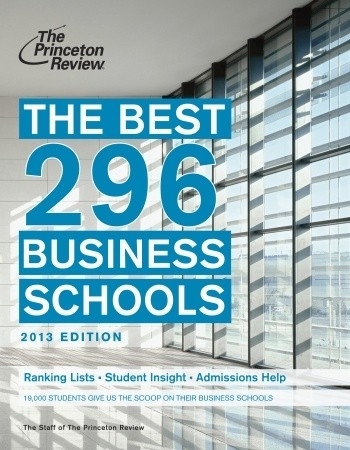 The academic test preparation and admissions counseling company included ISU's MBA program in "The Best 296 Business Schools," the 2013 edition of its annual guidebook.